We’re open every day from 9am until 9pm. Take the Central or Jubilee line to Stratford station. Take the DLR to Stratford Station and Stratford International. Exit to Great Eastern Way and cross the road towards Stratford Shopping Centre (the original shopping centre, not Westfield!). Cross the road, as if you were going to enter the Stratford Shopping Centre. On your right you will see a large bus terminal, walk through the terminal onto Great Eastern Road, which then merges into Stratford High Street. 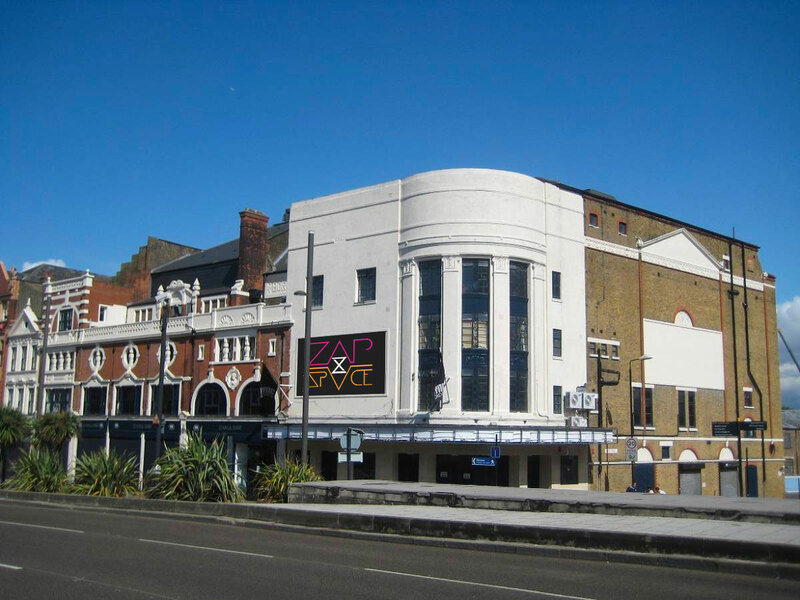 Ahead of you, you’ll see ZAPspace, which is located in a theatre, on the corner of Stratford High Street and Bridge Road. Stratford Station is also served by the National Rail services National Express East Anglia, London Overground (the orange line) and c2c. Please Exit to Great Eastern Way, and then follow the same instructions above to get to us. From the DLR station, you are 20 seconds from ZAPspace. We are located in a large theatre on the corner of Bridge Road and Stratford High Street. 25, 69, 86, 104, 108, 158, 238, 241, 257, 262, 276, 308, 473, 678, D8, S2, N8, N25, 906, 907, 909, 920, 925 and N108. There is a Multi Storey Car Park in the centre of Stratford, accessed from the one-way ring road opposite the Bus Station. Exit the car park and follow the Great Eastern Way road to find us (same directions as above).